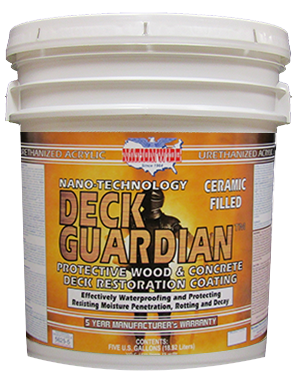 DECK GUARDIAN™ - ELASTOMERIC ACRYLIC URETHANIZED DECK OVER DECK COATING. 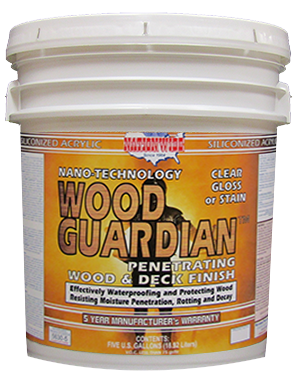 DECK GUARDIAN is an ELASTOMERIC Deck Coating that is a waterproofing acrylic, insulating ceramic, high build, wood and concrete urethanized deck over coating. 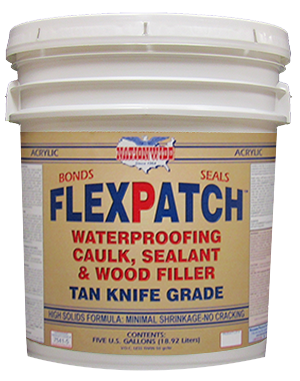 It is a high technology waterborne formulation of ELASTOMERIC and 100% acrylic resin resulting in a flexible, yet tough and durable, aesthetically pleasing deck surface.